Glasgow City Council (GCC), controlled by the Labour Party, has recently announced plans to undertake a multimillion pound ‘redevelopment’ of George Square. 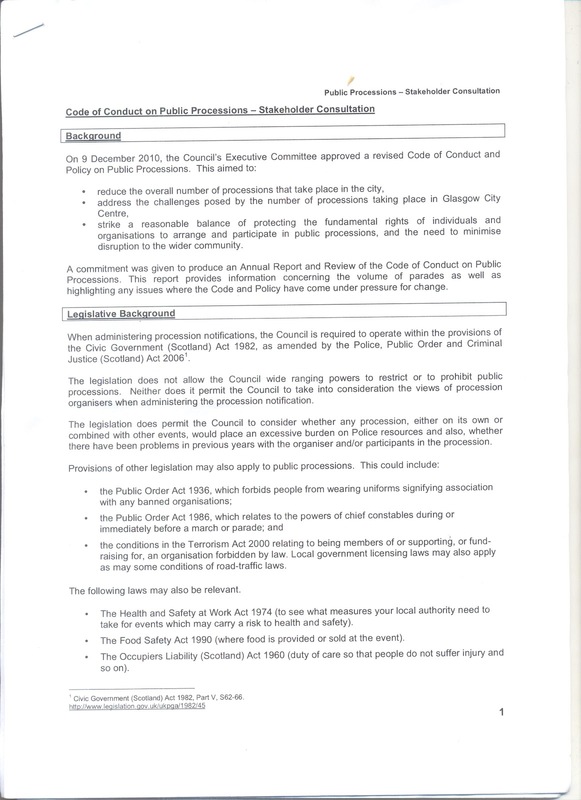 As part of this plan, major restrictions up to an outright ban on assemblies outside the city chambers are to be imposed. It is not only statues but the very right to protest that is being removed. 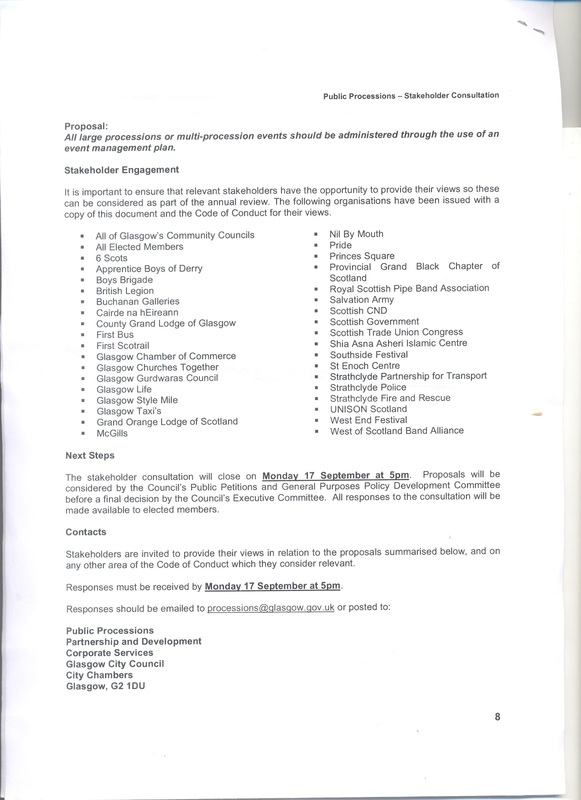 Under the cover of a sham ‘public consultation’, a fundamental attack on democratic rights in Glasgow has been forced through. 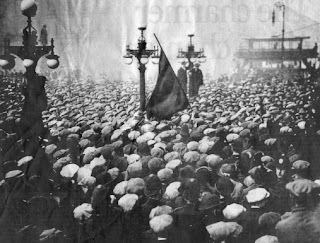 George Square is the principle public space in the social history of Glasgow. Site of the City Chambers, it has been the focal point of a range of political protests for over a century. It was here in the midst of the First World War that John MacLean spoke out against capitalism and war, where rallies in support of the rent strikes were held and the site of the infamous Battle of George Square in January 1919, when police violently charged workers demanding a shorter working day and the British government sent in army tanks amidst fear of revolution. In more recent times, the square has been a rallying point for demonstrations against apartheid South Africa and the poll tax in the 1980s, against the Afghanistan and Iraq wars and seen protests in support of Irish political prisoners of the British occupation in Ireland. 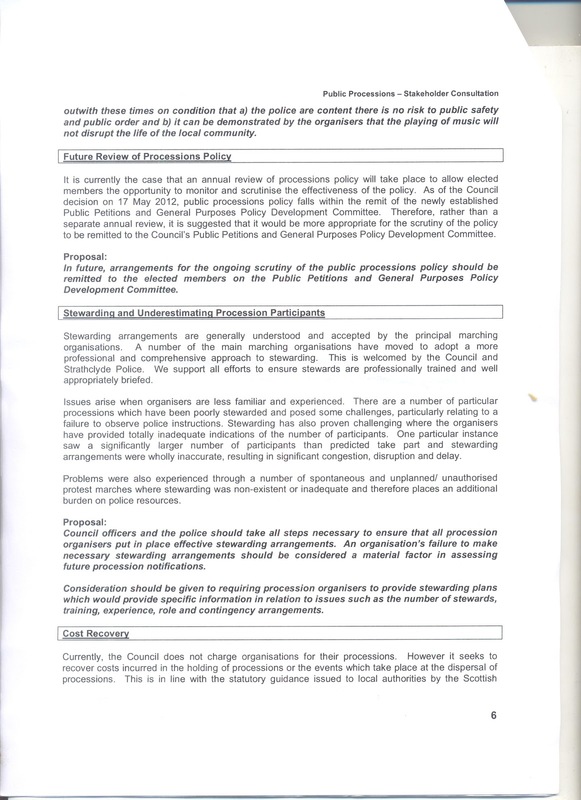 The council’s bogus ‘public consultation’ saw a stakeholder consultation document distributed to various business groups and campaign organisations. 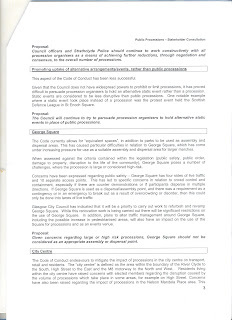 This document proposes amongst other things that George Square no longer be used as a gathering or departure point for the demonstrations that have marked its history. 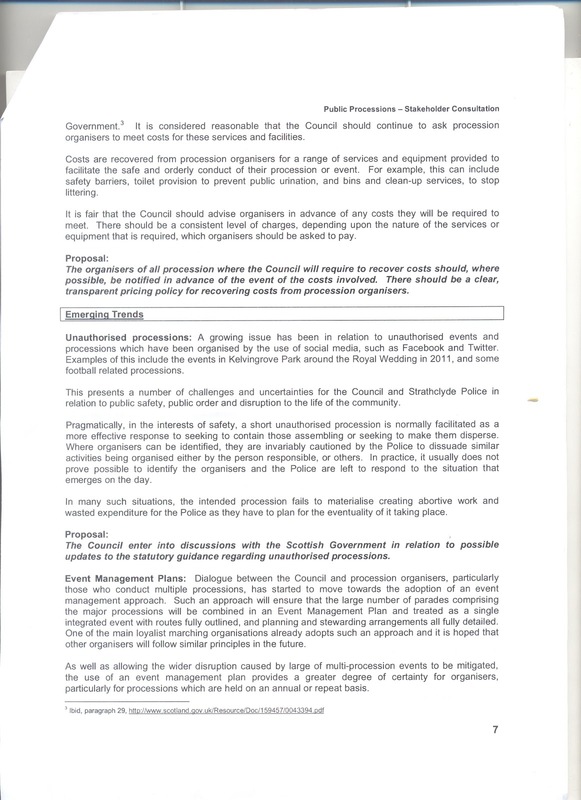 It further proposes that the council enter into negotiations with the Scottish government in order to give local authorities and the police even more statutory powers relating to what it terms ‘unauthorised processions’. 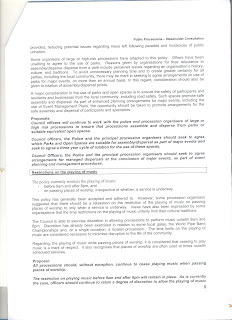 This call for further legislation comes despite wide ranging and far reaching powers to restrict and control protests already in place through the Civic Government (Scotland) Act 1982 and the amendments made to that act by the Police, Public Order and Criminal Justice (Scotland) Act 2006, along with various powers under the Public Order Act 1936 and 1986 and the Terrorism Act 2000. 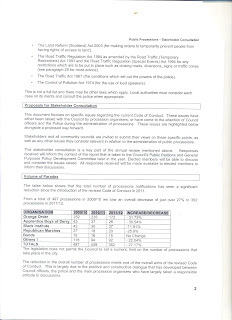 A copy of this consultation document obtained by the GDC is available here online for the first time. 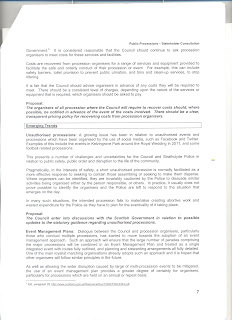 The ‘redevelopment’ plans come against a backdrop of Glasgow preparing to host the 2014 Commonwealth Games, which laid the basis for the closure of the Accord day care centre in Dalmarnock and the forceful eviction of the Jaconelli family from their home, as well as putting the final nail of the coffin of Paddy’s Market. 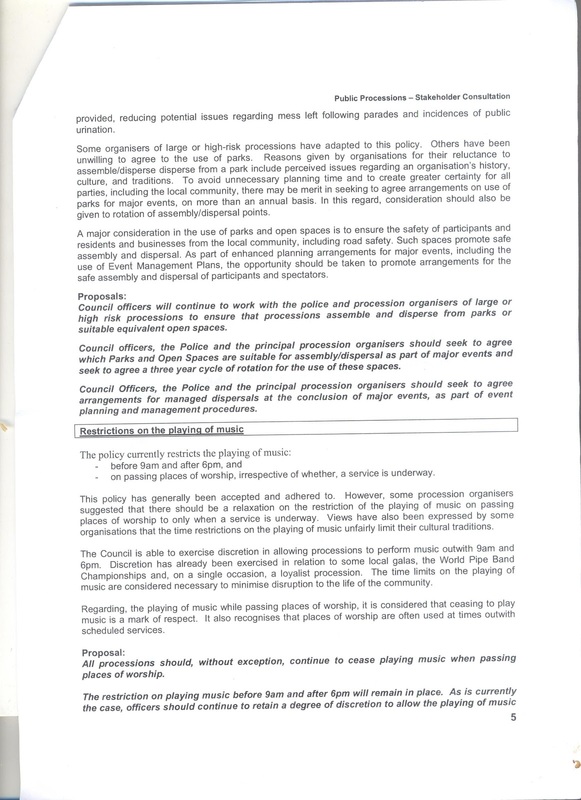 The cabal of business leaders, developers and corrupt councillors which run this city are determined that public space be cleansed of any inconveniences such as politics and working class life. ‘Scotland with style’ – for private business and tourism. The right to shop but nothing else. Further, these attacks cannot be separated from the issue of divisive sectarian Orange marches and the dirty deal done by the Labour council with the Orange Order. 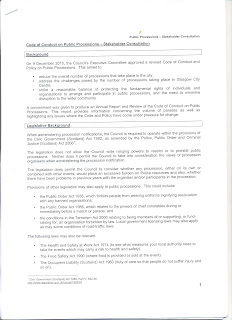 In May 2012, The Herald reported how Gordon Matheson, leader of Glasgow City Council, was greeted with applause when he told a pre-election hustings of around 100 members of the Orange Order that he would ‘hold his hands up’ and admit the approach to reducing marches in the city was wrong and would be reviewed after his re-election. 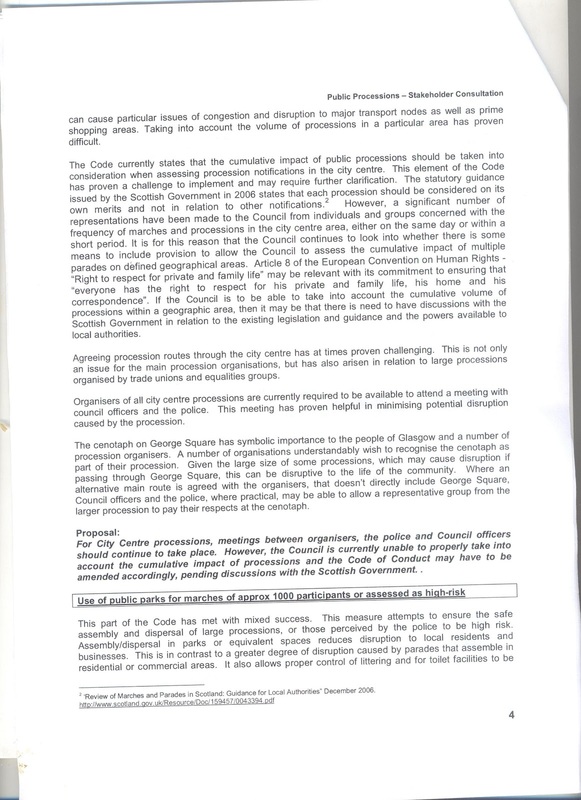 The most recent consultation published here by the GDC shows how the council, along with the police, attempt to equate genuine protest marches such as trade union and refugee demonstrations with the sectarian and supremacist marches held by the Orange Order. 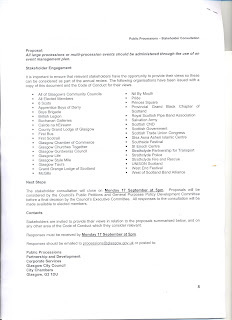 The consultation goes so far as to describe the conduct of the racist Scottish Defence League in approving terms. 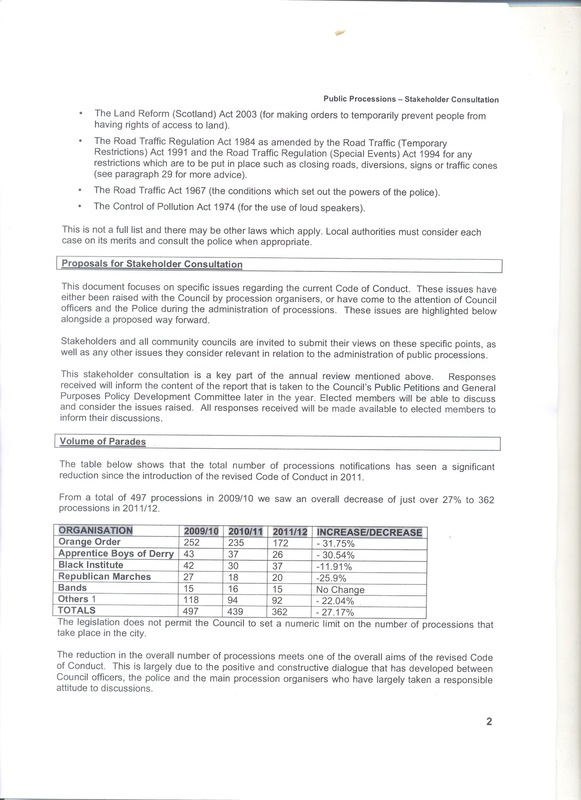 The consultation is clear: the problem is not dozens of sectarian or racist assemblies but rather what it terms the emerging trend of ‘unauthorised processions’ being organised via social media. 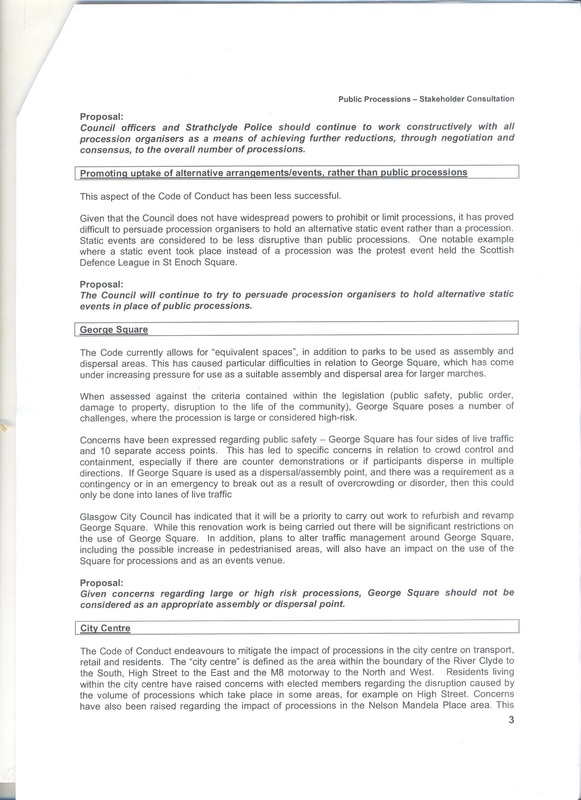 Gordon Matheson has said that he wants ‘to give the people of Glasgow the Square they deserve.’ The Labour council has repeatedly shown what it thinks the people of Glasgow deserve: privatisation of services, poverty, cuts and corruption. No wonder our dear leader wants protest banished from outside the gilded halls were such decisions are made! From Tahrir Square in Cairo to Puerta del Sol in Madrid, the people are claiming the squares back from themselves. This remains the case today. We state that these plans are a dangerous attack on our fundamental democratic rights. 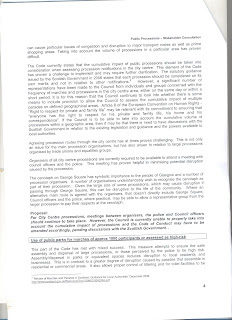 It is the latest stage in the escalating repression in Glasgow which the GDC has documented since its formation. 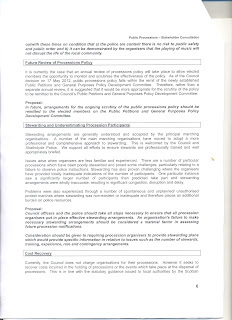 Interference by the state in legitimate, legal and necessary protest and organisation must be challenged. Unity and solidarity must be built, urgently and on the ground, in the struggle to defend democratic rights in the fight for real justice. Speakers from the Glasgow Defence Campaign plus a speaker from Spain on the squares movement in Europe.